The Wilmington International Airport (ILM), the fourth largest airport in North Carolina, is the perfect-sized airport that is huge on hospitality and convenience. Southern hospitality greets visitors with a putting green and rocking chairs as the gateway to southeastern North Carolina. Everything from baggage claim to parking is easy. Fly ILM to get your beach vacation off to a quick start upon arrival! 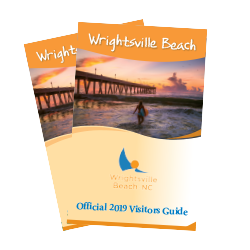 Wrightsville Beach is located only 10 miles away from the airport.